Parking = Nothing on Site. Use local car parks. Alternative, Complementary & Holistic Therapies, Psychics, Free Talks, Workshops, Stage Performances and a whole host of the finest M-B-S, Health and Well-Being Retailers. 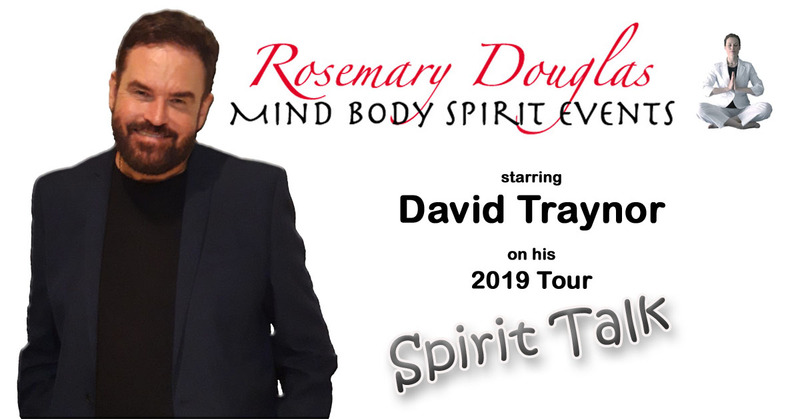 Come join Spirit Medium David Traynor at the Holistic Ways Mind Body Spirit Fair at where David will be doing 121 Readings on both the Saturday and Sunday between 11am and 5pm. By joining David Traynor at this MBS Fair you can take advantage of seeing his FREE demonstration of Clairvoyance @ 3.30pm and also the many other Talks and Shows being offered throughout the day. Come join us for a FREE 1 hour long demonstration of clairvoyance by Spirit Medium David Traynor @ 3.30pm . This is a FREE demonstration, no ticket required once you have entered the MBS Fair. Tickets for access to the Main Event are available online using the Ticket Link. 10:00am - 121's - Ages: Families welcome. 5:00pm - CLAIRVOYANCE DEMO - Ages: Families welcome.